Wet ocean air cools the lush, moss-covered terrain of Haida Gwaii, making this remote Canadian island chain seem even more like a trip back in time, when pristine nature dominated the landscape here. 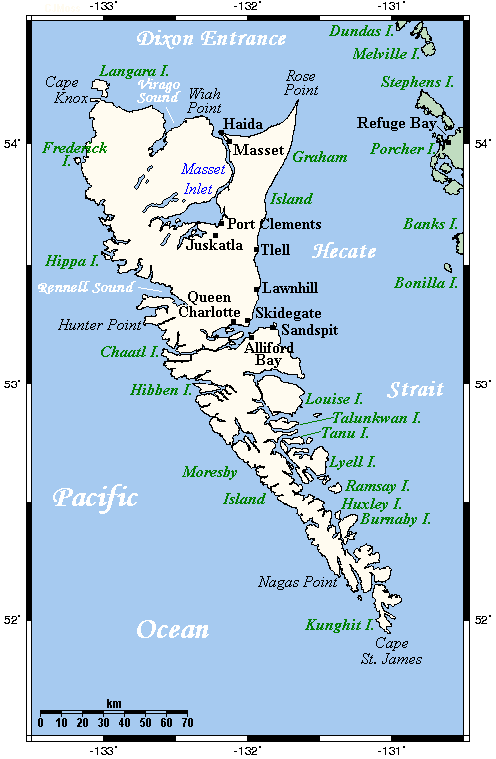 For more than 200 years, this archipelago was called the Queen Charlotte Islands. But in 2010, the Canadian government restored some of the islands’ First Nation identity by renaming it Haida Gwaii, after the Haida people who still inhabit the island. This southern part of the island chain is preserved as Gwaii Haanas National Park Reserve and Haida Heritage Site, a stretch of land and marine areas jointly managed by the Haida Nation and the government of Canada. Haida Gwaii, formerly known as the Queen Charlotte Islands and the Charlottes, is an archipelago on the North Coast of British Columbia, Canada. Approximately half of its population is of the Haida people.